Elegant looking, chakra moon faceted pendant is a crescent moon pendant, with seven gemstones embedded in it. 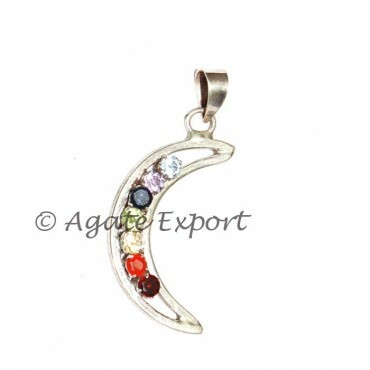 This pendant brings peace and purity in mind. Agate Export offers you this pendant at a reasonable price. Weight is 4-10gm.